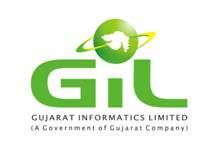 Gujarat Informatics Limited (GIL) has published an Advertisement for below mentioned Posts 2017. Other details like age limit, educational qualification, selection process, application fee and how to apply are given below. Educational Qualification : BE (CE or IT) / B.Tech. (CE or IT) / MCA / MSC(IT) with minimum of 60% marks. (Full-time programme from recognized University) Knowledge of English, Hindi & Gujarati d. Minimum of two (2) years of work experience preferably in IT / eGovernance related field. Candidates with certifications like PMP, Prince2, CCNA, CCNP, ITIL, Six Sigma would be having an edge. Age Limit: Must be 23 – 35 years old as on the last date of submission of application. Selection Process: Candidates will be selected based on competitive written exam & computer proficiency test.